The Tata-Singapore Airlines airline Vistara has signed letters of intent to place firm orders with Boeing for six 787-9 Dreamliner and with Airbus for 13 A320neo family aircraft. Vistara also has options for an additional four Dreamliners. The order is worth $3.1 billion at list prices, though aircraft manufacturer extend massive discounts. In keeping with their existing fleet mix, the engines for the A320s will be the CFM International LEAP 1-A, and for the Dreamliner 787-9s it will be the GE GEnx-1B. CFM is a joint venture of GE and Safran (formerly Snecma). The airline will also lease an additional 37 A320neo family aircraft from various leasing companies. The airline currently operates a fleet of 21 A320 aircraft. 13 are the classic CFM56 engine and eight are neo powered by the CFM LEAP 1-A engine. The use of the term “A320 family” aircraft leads us to believe the Vistara may opt for one of the variants of the A320, like the longer A321neo which has a long range version and a higher seat density version. 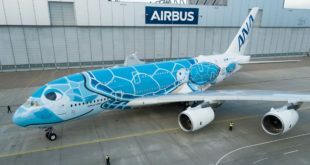 The Airbus narrow-bodies will be delivered over four years starting in 2019, while the Boeing Dreamliners will be delivered during 2020 and 2021. Vistara currently flies over 800 flights a week to 22 destinations. It recently crossed the one crore (10 million) passengers milestone. The 787-9 will allow the airline to fly to some US destinations non-stop from its New Delhi hub. 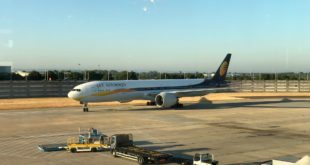 It will also allow the airline to fly non-stop to Australia, though this would poach on to one of the more lucrative markets of its parent Singapore Airlines.